The Louisville Bats lost a heart-breaker 5-4 to the Durham Bulls on a bases-loaded walk in the bottom of the tenth inning. Bats first baseman Yonder Alonso was 3-5 in the game. The Bowling Green Hot Rods recorded their second 2-0 shutout in 10 games with a win over the Lansing Lugnuts. Right-handed pitcher Alexander Colome held the Lugnuts scoreless through six and two-third innings while striking out six batters, and third baseman Julio Cedeno was 2-3 with a run scored, RBI and stolen base. Lexington Legends ace and Houston Astros 2009 second-round pick Tanner Bushue recorded his wort start to-date in a 7-4 loss to the Hickory Crawdads. Bushue surrendered seven runs in just four and one-third innings. 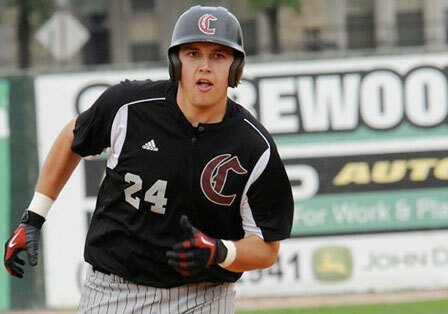 Former Campbellsville University catcher Richie Rowland extended his hitting streak to seven games and with a 2-4, two-run-scored performance for the rookie-level Missoula Osprey. In eight professional games, Rowland is batting .538 with five RBI and five runs scored. Former UK outfielder Lance Ray was 2-4 with two doubles and one run scored for the rookie-level Elizabethon Twins and is 5-11 over the last two games. Former UK closer Matt Little has been promoted to the low A West Michigan Whitecaps where he pitched one and one-third scoreless innings with one strikeout in his debut. Former WKU third baseman Wade Gaynor was 2-5 with two RBI and two runs scored in that same game for the Whitecaps. Former NKU outfielder Jake Shaffer posted his third consecutive three-hit performance for the high A High Desert Mavericks and is 9-12 with four runs scored over that span. Former NKU left-handed pitcher and 2010 draftee Jarrett Casey picked up his second save in three appearances for the rookie-level Bristol White Sox with three scoreless innings. In that same game former Morehead St. shortstop Drew Lee was 2-5 with his first professional home run, four RBI and one run scored for the White Sox. Paducah native Daniel Webb took the loss for the short-season Auburn Doubledays after surrendering three runs in five and two-third innings. He struck out four and walked one. Paducah native Eric Roof was 2-5 with a home run, two RBI and two runs scored for the short-season Connecticut Tigers. In that same game Danville native Patrick Cooper made his professional debut with a scoreless inning pitched for the Tigers. He struck out two.